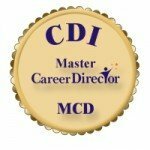 Thank you for electing to renew your Master Career Director (MCD) credential. 1. Documentation fulfilling the five items on the MCD Renewal Reporting Form. 2. Completed MCD Renewal Reporting Form (download in #1 above).